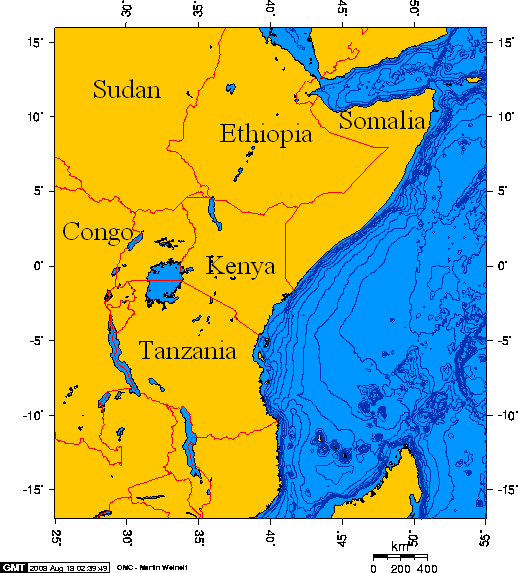 African Great Lakes and the Horn of Africa. Note smaller lakes showing the Great Rift Valley. The data on political boundaries used to create this map predates the independence of Eritrea -- which severed Ethiopia from the Red Sea. You may choose whichever licence best suits your purpose, picking one and ignoring the others altogether. This page was last modified 16:34, 25 July 2015.